Researchers at Arizona State University have created a bi-layer multifunctional coating with static and dynamic surface interactions for preventing ice accumulation. Frost and ice accumulation are major safety and performance concerns for aircraft, sea vessels, wind turbines, and off-shore oil platforms. A common and effective way to prevent ice buildup is to apply chemicals that lower the freezing temperature of water. 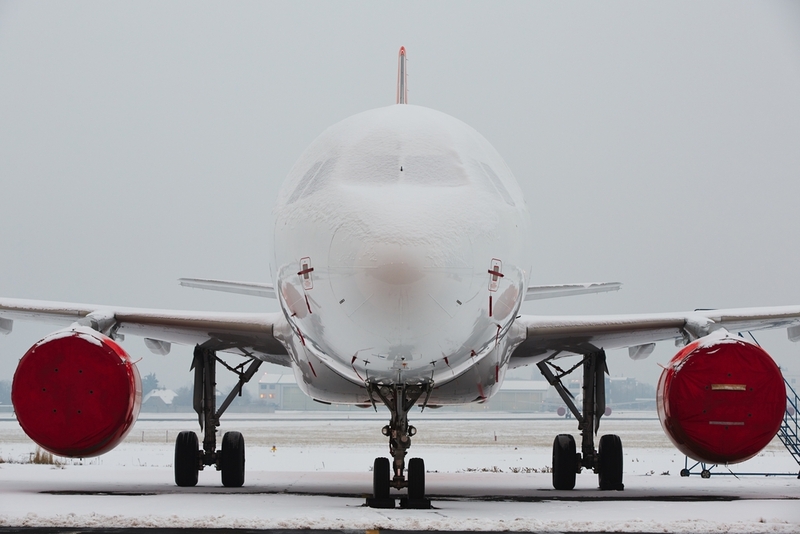 In wintery conditions antifreeze is routinely sprayed on commercial airliners, and smaller planes can be equipped with a wing antifreeze dispensing system, but the antifreeze quickly dilutes when exposed to rain and other liquid forms of water. Functionally passive coatings such as nanostructured superhydrophobic (water averse) surfaces and lubricantimpregnated surfaces have been alternatives to actively applied anti-icing systems. However, when the nanostructures become frosted over these coatings actually increase ice accumulation and lose functionality. Economical – Less expensive than nanostructured or lubricant-impregnated surfaces; Saves on the cost of antifreeze.